We are currently updating our Oil-change Specials. Please check back soon. Check your BMW Owner’s Manual for your vehicles oil type and maintenance schedule. An oil change is the process of draining old engine oil and replacing it with new motor oil. During this time, the oil filter is also replaced with a fresh filter. Overtime, thermal breakdown reduces the engine oil’s ability to lubricate the engine properly. Without proper lubrication, engine components rub together and begin to wear down. This can lead to some expensive repairs, or worse. As long as you get regular BMW oil changes at Bob Smith BMW in Calabasas, CA you can avoid these expensive repairs. If you’re in need of BMW Oil Change coupons, make sure to always check back each month. Bob Smith BMW always keeps up to date service savings on our website. Don’t forget to print or save your Oil Change coupon before you come to visit our Calabasas, CA service department. When your New or Used BMW or other model vehicle needs to be repaired, be sure that you’re bringing it into a trusted service center near Calabasas, CA. At Bob Smith BMWwe are here to help you with everything you need. 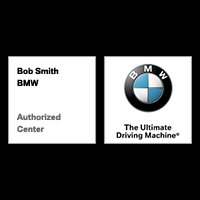 The mechanics at Bob Smith BMW have comprehensive knowledge on all BMW’s. Our mechanics are factory trained so they are able to diagnose and assess you with all of your vehicle symptoms. At Bob Smith BMW we provide high quality repairs and service. Whether you’re looking for an oil change, tire rotation, diagnostic, or any service work – you can call Bob Smith BMW today! In order to be sure you’re never spending too much money on the service your car needs, check out the specials on service above! We have monthly offers that all of our customers can take advantage of! If you have any questions contact Bob Smith BMW today!